Newburyport Brewing up in Massachusetts recently asked if I'd like to check out a few of their beers. Today I tasted a few from the mixed 4-pack they sent. 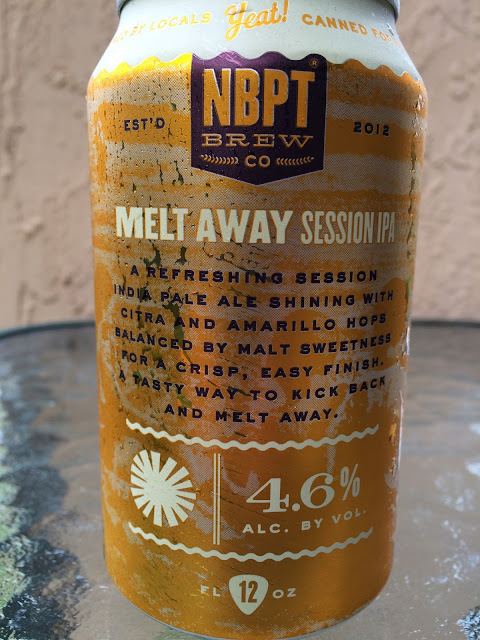 I started with Melt Away Session IPA, "a sessionable India Pale Ale for year-round beach days," which the shoreside towns of Massachusetts are know for (LOL). Anyway, they picked the right guy to test that theory out down here in Miami! 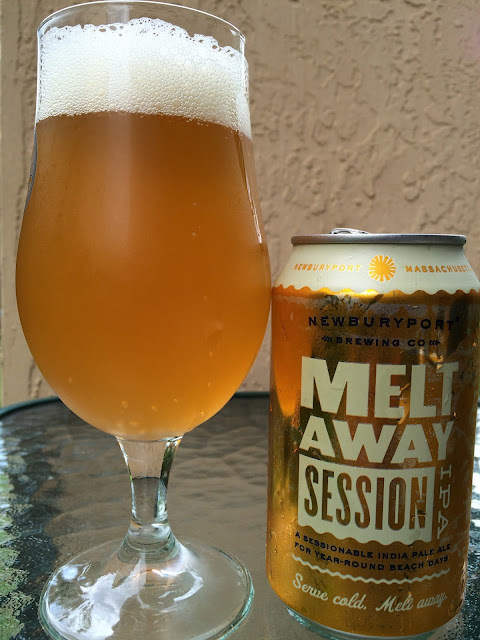 "Newburyport Brewing is Massachusetts’ own exclusive keg and can craft brewery." I took that directly from their website, so duh, this and the others are all in cans. Serve Cold. Melt Away. 4.6% alcohol. The bright orange can matches the bright orange beer perfectly. Great citrus, lemon aroma. Lemon and tangerine and grapefruit rind shine in the beginning. Lots of flavor, excellent tangy bitterness. Sharp with a subtle background sweetness. Crisp and refreshing, clean, loads of flavor. I really enjoyed this beer and could easily enjoy it during the beach days of December and January here!